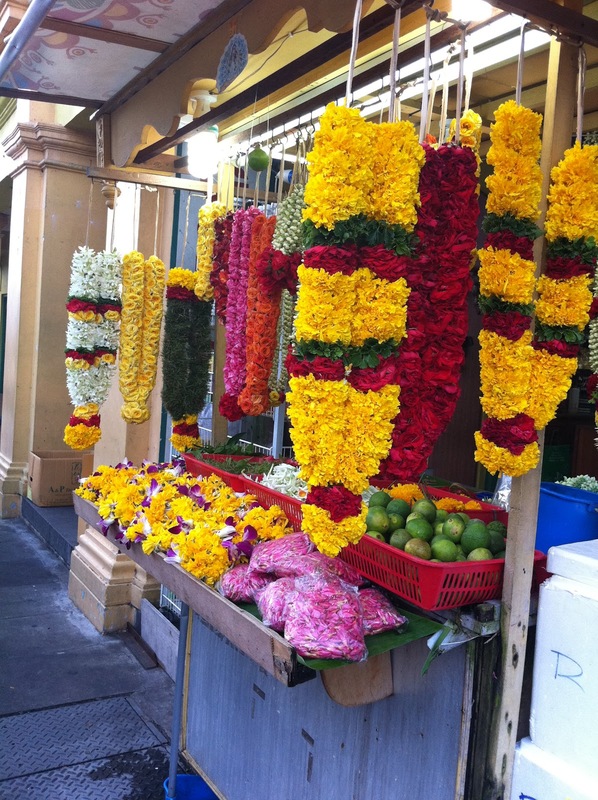 Little India is quite a substantial neighborhood in Singapore, where, yes, you guessed it, Singaporiean Indians live. This particular stretch of streets in a complete opposite to orderly, manicured streets of the city itself. 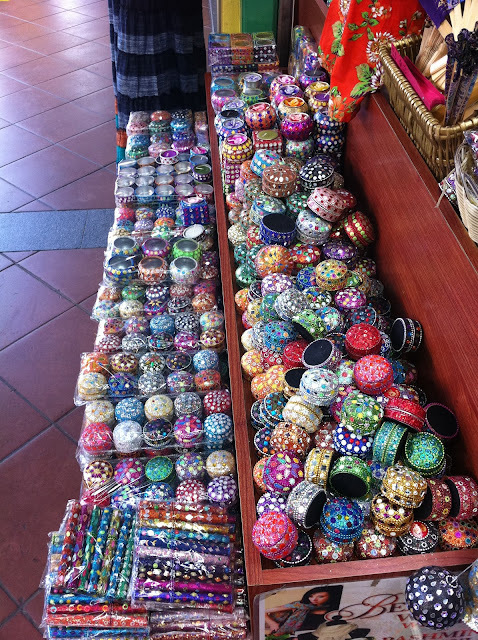 Little India is so colorful, vibrant, fragrant and bustling with all sorts of people. 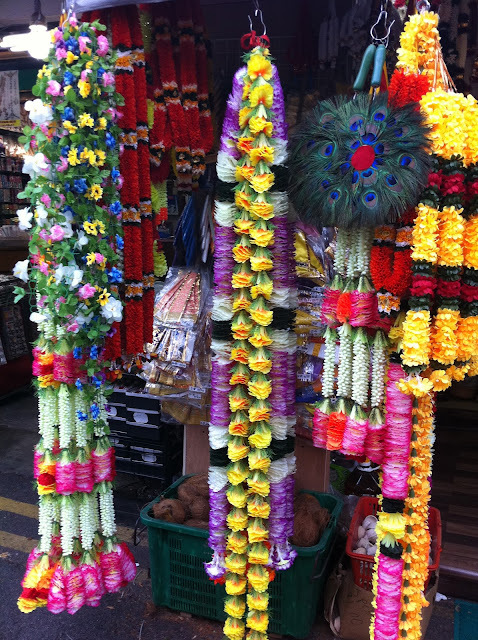 Of course, there are tourists, but mainly it's shopkeepers, tailors, that set their sewing machines right on the pavement outside the clothing shops, fruit sellers, fresh flower garland vendors, sari-clad ladies out for grocery shopping. It's a moving, breathing, talking and gawking mass, so full of Eastern spirit and sensibilities, something that is not so apparent in Westernized Singapore. Hey! Amazing blog, i followed you! Oh, I want to go there! What a wonderful place! the colors! Everything is so vibrant and beautiful. WOW. Looks like such a beautiful, colorful area! Singapore Series: Die, die, must try!